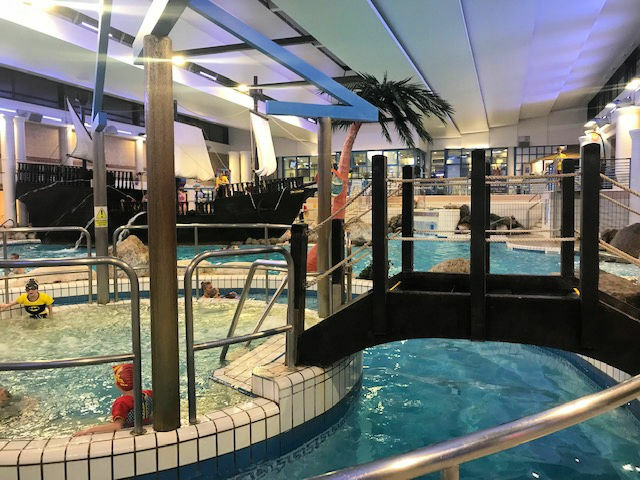 A couple of weeks ago saw us slipping into our new Zoggs swimwear and checking out the newly refurbished Coral Reef Waterworld in Bracknell. When the boys were little, we were regulars at Coral Reef but hadn't visited since their refurbishment. 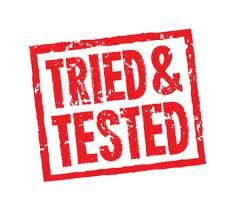 I therefore had 3 very excited boys, when I told them that Zoggs had invited us to a private event. 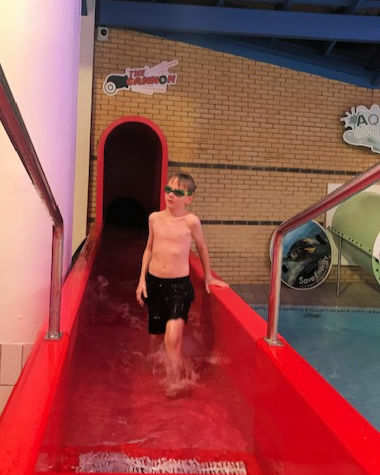 Not only would they get to try out the new slides, but they would also have some of the brand new DC super heroes range to try. Middle man was initially worried he wouldn't see out of his batman hologram goggles, but once I explained how they worked he was intrigued. To be honest I quite fancy a pair myself! If you haven;t been to Coral Reef before, it is well worth a visit if you are in the South East area. There is a large swimming pool with a pirate ship in the middle. The children can climb onboard and spray you from here. There is a volcano that erupts, bubbly pools and rapids. 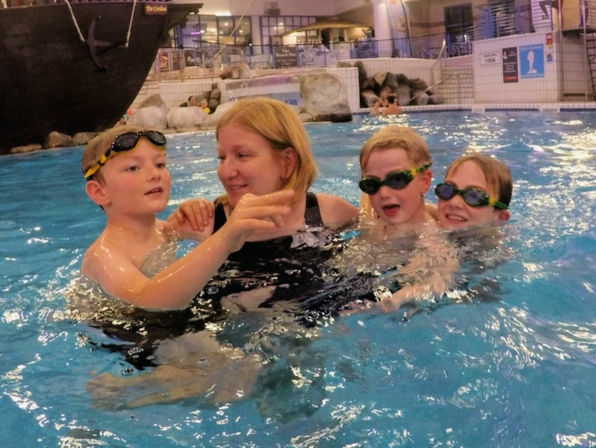 If you want to escape the kids there is even an over 18's spa which has a variety of saunas. But the best thing about Coral Reef are the new water flumes. Only 3 were available on the night due to technical issues, but this just means that I am eager to go back and try them. Yes you did read that correctly. It is me that wants to go back! Something the boys are very happy about. These slides where different to any I have been on before. The Aqua Splash and Storm Chaser are disco slides. Storm Chaser is a raft ride. Best taking a double raft as you will go much faster. 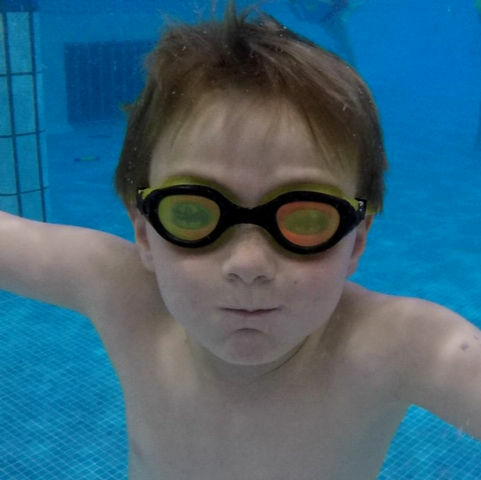 With Aqua Splash, your child can go down with you if they are under 1.2m. You chose your music and there are lights and sounds - it is fantastic. I have purposely put this short clip to music to drown out my shrieks! The other slide that was open was The Cannon fast slide. I will let you into a little secret. I grew up going to Coral Reef. I have one regret. I never did the fast slide. Now there is a new one. It is marginally different, but it is dark and small. 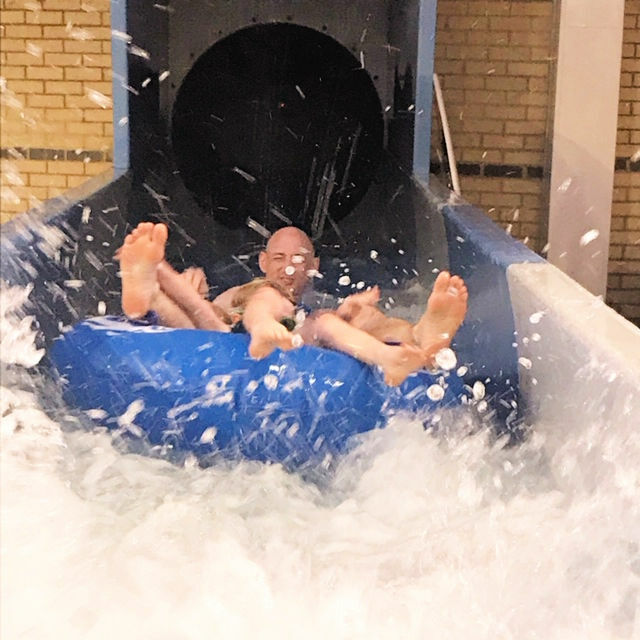 As a rather claustrophobic person who likes to sit up when going on a waterslide, I did what any self respecting blogger would do when they wanted to know what it was like. Yes that is right, I sent down my 10 year old son. You can time yourself. I think the fastest person on the night had done it in 4s. He wanted Mummy to go on it. Mummy tried to get Daddy to go on it to tell her if she would die on it or not. He declined and Mummy made excuses about her back. Then Mummy was in a queue talking to the lovely Steph Curtis who had been on it. She was still alive. She thought it was good. Mummy decided that she probably wasn't going to die on it and in a moment of madness went for it! It was small, dark and very fast. But I did it!!!!! So I made Daddy have a go before I went and did it again in a race with my son. I was just under 8 seconds he was around 5. Either way, I was on a high that I had conquered my fear. You only live once right? We had a fantastic time at Coral Reef and our swimwear was fantastic. I am not that body confident, but my Zoggs swimsuit was flattering, making it easy to forget about what I looked like and enabling me to enjoy quality family time. The hours went by in seconds. So a big thank you to Zoggs and Coral Reef. We will be back soon. I now need to do all the slides. It made me realise that moments like these need to be cherished. It wont be much longer until my boys aren't trying to get me down the fast slide. These things are what memories are made of. Our DC Superheroes event really was super. Have you been to the new style Coral Reef? What did you think of the new slides? Those hologram goggles are so cool! I could quite fancy a pair myself! It was fantastic - definitely taking the boys back soon! 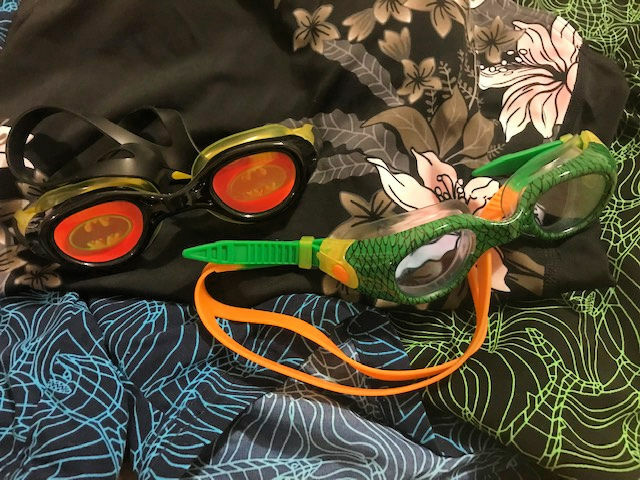 My three are big fans of their Zoggs swimming gear. I really like my costume. There were some lovely designs.